Some of our readers might remember the original A-Bike designed by British inventor Sir Clive Sinclair who was also responsible for creating the awesome ZX range of computers launched back in the 1980’s. Now the design of the original A-Bike has been upgraded with the power of electricity, providing a super lightweight A-Bike electric folding bike. Watch the video below to learn more. The A-Bike Electric is the world’s lightest and most compact electric bike. Its telescopic design means it can be folded to fit into any journey. The electric power assistance makes riding easy and keeps you going for up to 15 miles (25 km). The A-Bike Electric project is currently over on the Kickstarter crowd funding website looking to raise £40,000 in pledges to make the jump from concept to production. 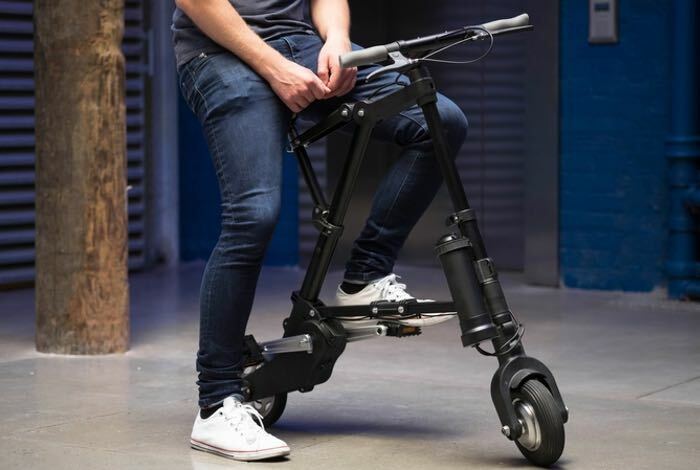 So if you think A-Bike electric folding bike is something your commute could benefit from, visit the Kickstarter website now to make a pledge and help A-Bike Electric become a reality.